In addition to our fantasic packages, we at Soul Solutions Holistic Health Spa have ongoing offers to allow our clients to benefit further from our vast array of services. 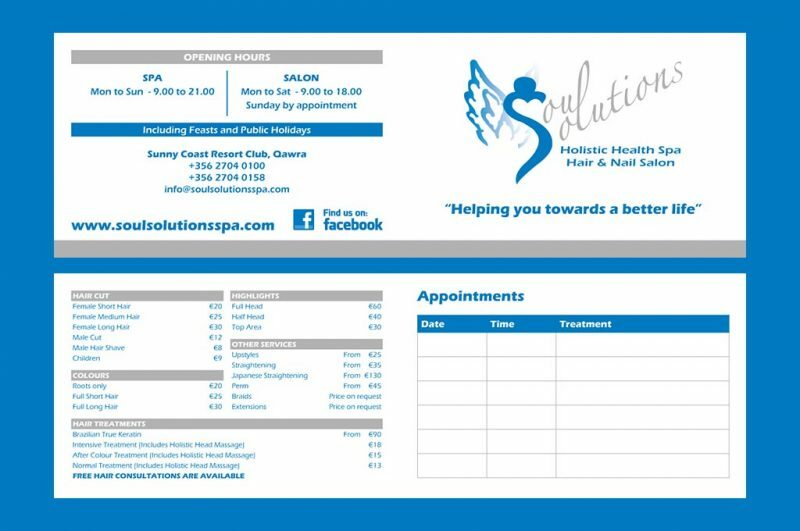 There is no expiry date with the appointment card and all services available at Soul Solutions Holistic Health Spa can contribute to filling the card as long as the services price is above €10. Have 3 treatments and enjoy the 4th for FREE! Enquire at spa for more details. Enquire at spa for more details.